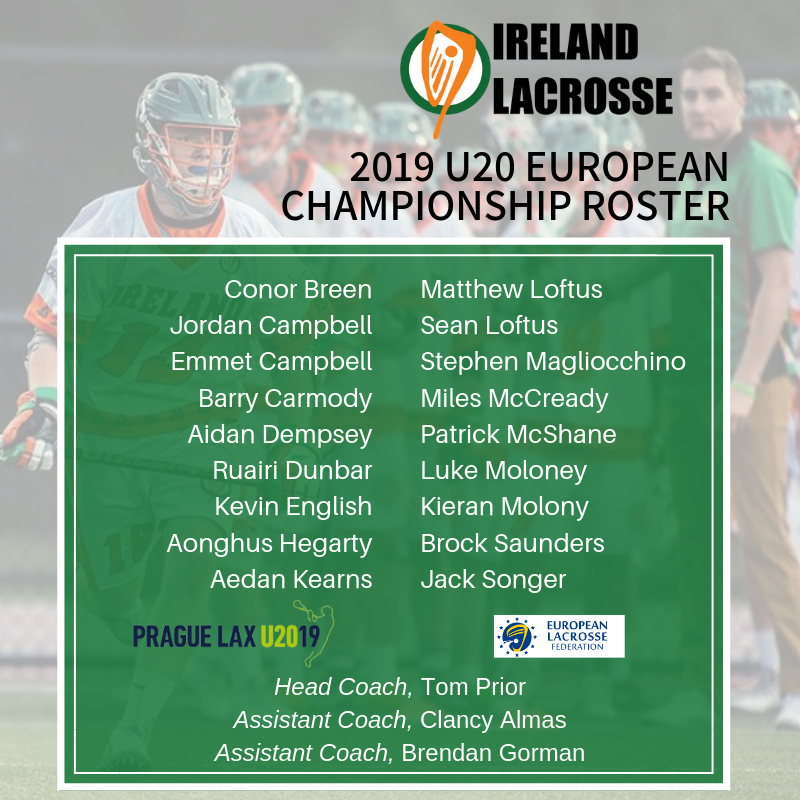 DUBLIN, IRELAND – Ireland Lacrosse has announced a 18-player roster for the Men’s Under 20 National team, which is set to compete in the ELF 2019 U20 European Lacrosse Championship in Prague, Czech Republic. Currently ranked 7th in the World following the 2016 U19 World Championship, this team features returners 2016 and a series of newcomers. Head Coach Tom Prior returns to the helm, and his staff is complemented with assistant coaches Clancy Almas and Brendan Gorman. Almas has been behind the bench for the Indoor National Team, and Gorman on the sidelines of the Senior Men’s National Team. As a player-funded organization, each rostered player is responsible cover their respective costs to be on the team. These costs include: transportation, food, accommodation, uniforms, equipment and a whole host of other costs. Your donation will make it possible for numerous players to be able to participate in the 2019 U20 European Championships. Donations originating in the USA are tax-deductible. Click here. I saw the dates for the tryouts for the U19 team. I want to register my son for the NYC tryout in Jun 22nd. Can you let me know where to register him. 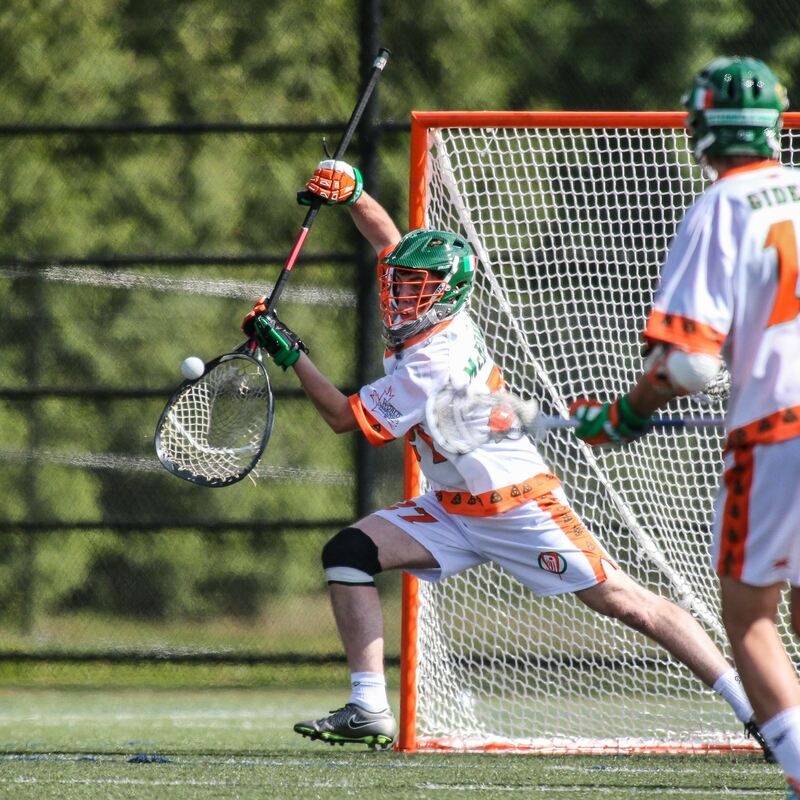 – All player-candidates must be paid/active members of Ireland Lacrosse in order to participate in any of the 2019 Selection Events; Membership is available via https://irelandlacrosse.azolve.com. – Registration (and payment) for each Selection Event is available through the membership system. 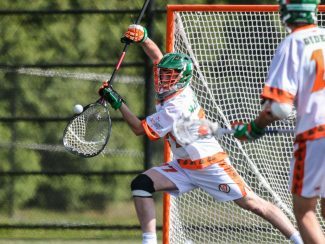 – Eligibility requirements for the Ireland National Team (U19 or Senior) are outlined at National Team Vision. – Following the selection events, selected player-candidates will be invited to the National Team Training Camp (NTTC), see below. – Players not invited to the NTTC will be invited to play for the Éire team(s) in the 2020 World Festival.